With a changing media landscape, it can be tough to determine the right engagement channels to reach your school’s alumni and donor prospects. As 2019 gets rolling, it’s a great time to plan your engagement strategies for the year ahead. In this article, we explore four channels you should consider – including some you may be using and some you may not have looked into – that can make an impact on your advancement performance. Facebook is still the dominant social network, but Instagram – the photo and video-based platform – is rapidly growing in popularity. Instagram is now one of the top five most used digital channels, and has some characteristics that make it a great fit for advancement campaigns. Instagram’s demographics include a high proportion of urban, educated individuals over the age of 30. That group is likely to include many college and university graduates with disposable incomes that make them good donor prospects. Being focused on photo and video, Instagram is also effective at conveying the emotions that sway supporters to give. You can easily remind alumni of campus memories, or showcase passionate students to other donors who may want to contribute to their school experience. LinkedIn is the best channel to focus on if you want to reach your school’s alumni. Half of all college or university graduates use LinkedIn. They are also great donor candidates with nearly half earning more than $75,000 per year. The challenge with LinkedIn is using it for effective engagement and ensuring that your message is heard by your alumni. But the right stewardship tactics can turn LinkedIn into a very valuable channel for advancement professionals to spend their efforts on. Download our free guide to engaging alumni on LinkedIn here! 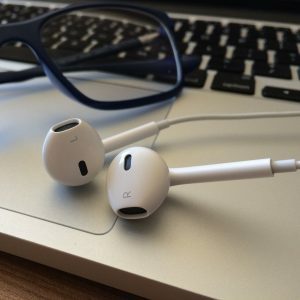 There continues to be a boom in the consumption of podcasts, which are audio shows designed to be listened to digitally. 25% of Americans listened to podcasts in 2017, up 45% from just two years prior, and the average listener increased from five to seven different shows per week in 2018. Improvements in Bluetooth and connected cars have led to this growth. Podcasts fans can easily listen to shows while commuting and from work every day. There has also been more adoption of smart speakers like Google Home and Amazon Echo. These make it easier for listeners to enjoy podcasts while doing other tasks around the house. Not only are more people listening to podcasts, but more people are creating them. There have always been broadly appealing shows on topics like sports, entertainment and politics. But now, there are many more that focus on specific industries, interests, and cities. That gives advancement departments an opportunity to find the podcasts that alumni are likely to listen to on their commutes to and from work. Once you do, you may also find that advertising rates are more affordable than traditional methods. Email remains an important tool for any advancement department’s engagement campaigns. But the amount of email your alumni and supporters receive means that you must find a way to stand out and grab their attention. Fortunately, tools are available to make email as seem personalized. With proper segmentation and content that draws from your donor management system, you can make each email read like it is written specifically for the recipient. That will help your supporters feel like you value their time and understand their goals. It will also increase the odds of them donating to your campaigns and projects.